One of my favorite Google April Fool’s jokes was Google Nose, they clearly spent quite a lot of time and thought on this as you can see in the introductory video below. In our fast paced world that we don’t have time to stop and smell the roses, well with Google Nose Beta the roses are just a click away. Well, two years ago that was a joke, and today there is actually a product that helps you capture the scent you are smelling and send it to anyone in the world for them to experience as well. The oPhone is a revolutionary device that, in combination with our free iPhone app “oSnap”, allows you to send and receive electronic aroma messages. Think of it as a kind of telephone for aromas. With the oPhone, you can now bring complex scent texting into your mobile messaging life, and share sensory experience with anyone, anywhere. They did a great job explaining and showing us how it works in this video, wonderful visuals, content, and overall production. The first oNote that was scent (get it? ), was appropriately, that of Champagne. Champagne is a sparkling wine produced from grapes grown in the Champagne region of France. Since we’re based in Paris, we thought this would be a great first oNote to share with you. Click on the image below to have a first visual experience of your oNote. Here’s a tip: if you pause the oNote while it’s playing, you’ll be able to see the names and descriptions of the aromas that were tagged. 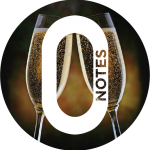 You can create your own oNotes and send them to your friends using our iPhone app oSnap, available in the Apple App Store. My vision for the future of this technology is that it becomes an add on when purchasing a computer, tablet or phone. Websites can automatically have a scent that the user can choose to smell or not. How wonderful would it be to be able to smell the spa you are booking online, or the cupcakes you are researching? Brands can also use scent to trigger purchases or persuade users to stay on their sites longer, like they currently do in the real world. You heard this idea here first, people! The possibilities are endless. I am visiting Paris in the fall and will be visiting one of their HotSpots to experience this unique form of communication. Hopefully I will post an update here and tell you if it is all they say it is. You can preorder your very own oPhone here. I love this idea! By thinking about sending O Notes to people, you are forced to be more aware of the moment you are in, the experience you are having. This connects people to the now, the present moment, making life fuller and more memorable. Yes! You as so right. This would get people to actually slow down and notice the experience they are having. The Osnap app is available for iPhone and I think would serve as a way to chronicle your favorite scent experiences (even without the Ophone device).I can’t wait to experience this when I visit one of their Hotspots soon. Great post! I love that every website could have a scent that mirrors the experience of interacting with the business. All though it terrifies me how strong Abercrombie’s website and Yankee Candle’s website would smell. Great point Chris, I would definitely “mute” my scent when visiting those sites. Scent is so powerful right now because so few brands are really utilizing it. I am excited for the opportunities.